Angelina Yershova is a composer, pianist, producer, sound artist and improviser. Classically trained, she has developed her own unique musical language, a deeply personal world that orbits freely through different musical genres and does not conform to any stereotype or cliché. Angelina graduated in piano performance and composition from the Kazakh Conservatory of Music (Almaty), in choral and symphony orchestra conducting from the K. Baiseitova Musical College, and in Electronic Music from the Conservatory of S. Cecilia (Rome). She has performed at several international festivals, including the International Rostrum of Electroacoustic Music (Lisbon), Staten Island Waterfront Festival (New York), Nuova Consonanza (Rome), EMUFest (Rome) and IlhomXX (Tashkent). Her artistic versatility has made her in demand within a range of musical fields. As a soundtrack composer she has won awards at the Fond Soros Film Festival (Kazakhstan) and the Shaken’s Stars (Kazakhstan), and she has composed for the Almaty theatre Scena Nuova. Italy’s national TV channels RAI and Mediaset have made extensive use of her music. 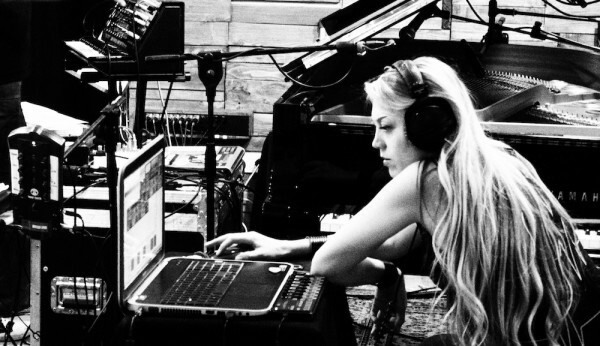 She has collaborated with composers/inventors Mario Bertoncini and Simone Pappalardo, with rock band Belladonna as orchestra conductor, and with DJ/composer Electric Indigo on an experimental project. She founded the Astroconcert project in collaboration with Stefano Giovanardi (astronomer of the Rome Planetary). Angelina has released several albums on her Berlin-based label Twin Paradox Records.